15-page document. 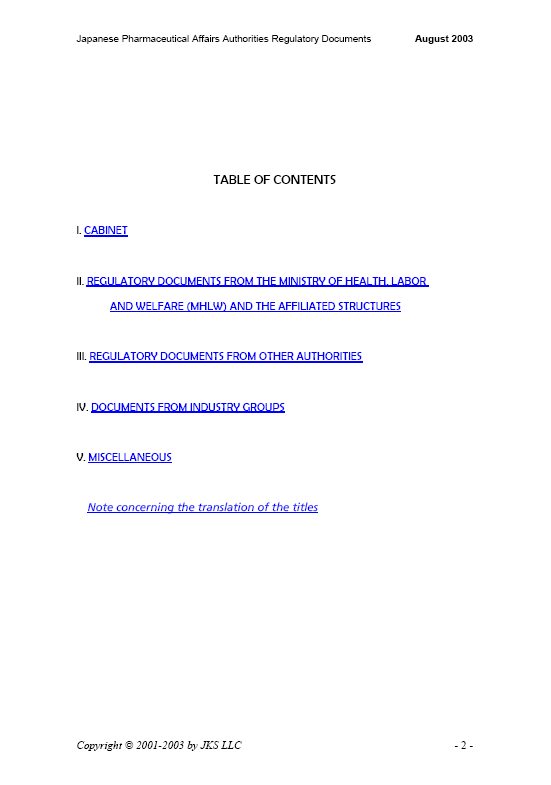 For the first time translated into English the full list of the documents released by the Japanese pharmaceutical affairs regulatory authorities between 1st and 31st of August 2003. Copyright © JKS LLC 2003.